CELEBRATE YOUR NEW YEAR WITH STEVE VAI & FRIDAY MUSIC GUITAR GREATNESS ABOUNDS ON FIRST TIME SUPER LIMITED EDITION 180 GRAM TRANSLUCENT BLUE AUDIOPHILE VINYL IMPECCABLY MASTERED & PRESSED AT R.T.I. FEATURES HIS GROUNDBREAKING TRACKS "FOR THE LOVE OF GOD" " BLUE POWDER" & "THE RIDDLE"
Superstar guitarist Steve Vai's "Passion and Warfare" was one of the finest displays of musicianship ever waxed and gave this multi-talented axe man a much deserved gold record for this 1990 masterwork. 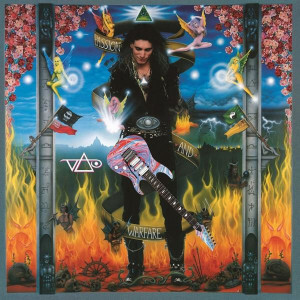 Already well known for his major accomplishments with Frank Zappa, David Lee Roth and Whitesnake, Steve Vai's own albums are of legendary status as we come upon 3 decades of his masterwork "Passion and Warfare." Groundbreaking guitar tracks like "For The Love of God" "Blue Dust" and "The Riddle", the original compact disc only release truly became one of the most important guitar albums of the decade. Friday Music is pleased to welcome back Steve Vai's classic Passion and Warfare now on first time ever translucent blue vinyl. Impeccably mastered and pressed at R.T.I., the super limited edition 2 LP deluxe set also feature 4 bonus tracks not featured on the original compact disc version including "Love Elixir", "And We Are One (Solo #2)" ,"As Above" and "So Below." 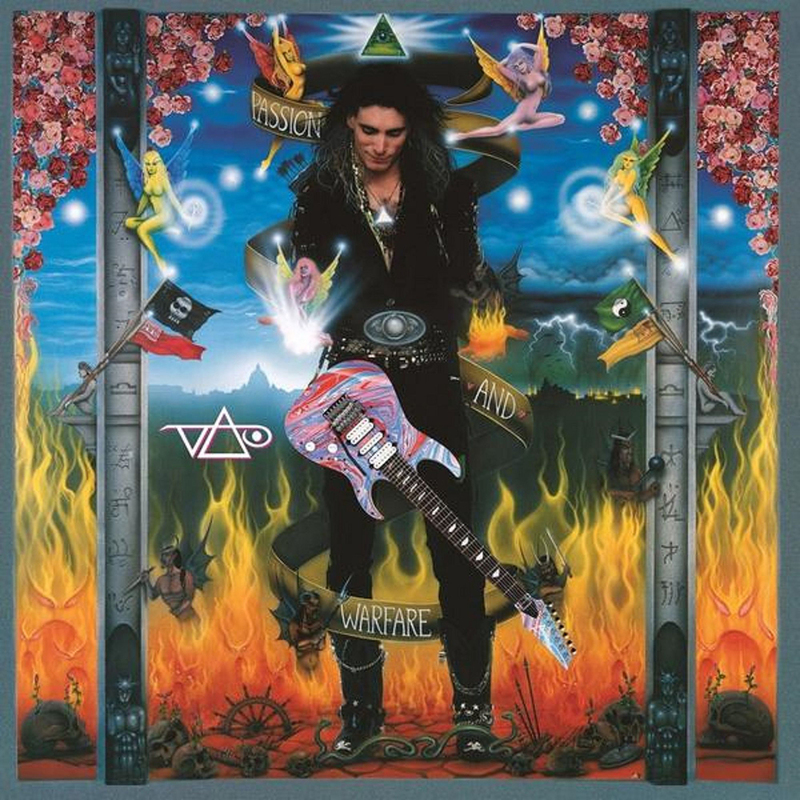 Fellow musicians greats like David Coverdale (Whitesnake, Deep Purple), Tris Imboden (Chicago, Kenny Loggins), Rudy Sarzo (Quiet Riot), David Rosenthal (Rainbow and Billy Joel) and many others join Steve Vai on this stellar recording. "Passion and Warfare".....now on super limited translucent blue audiophile vinyl.....exclusively from your friends at Friday Music!